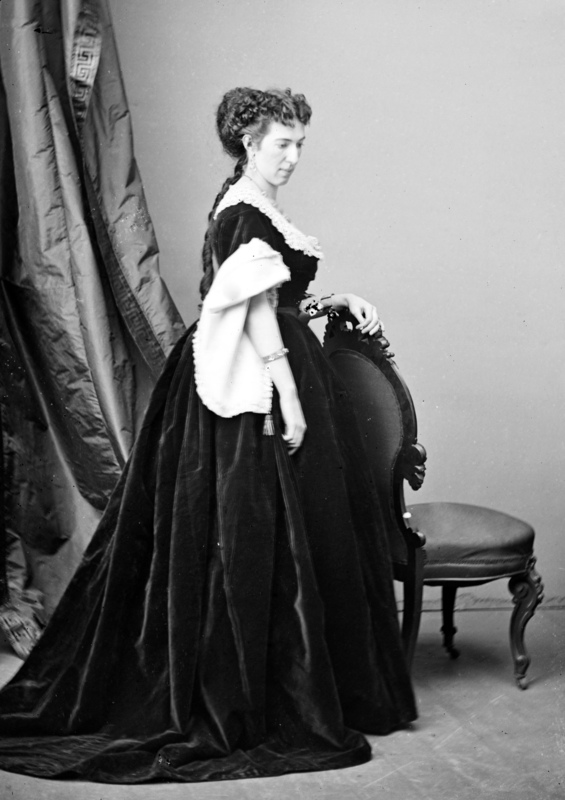 Confederate spy Marie Isabella “Belle” Boyd, often called the “Cleopatra of the Secession”, was arrested by Union troops on July 29, 1862, and incarcerated in Old Capital Prison in Washington D.C. It was the first of three arrests for this teenage espionage agent from Martinsburg, Virginia. On May 23, 1862, Belle and her family were staying in the same hotel as several Union soldiers. As the soldiers were conducting a war council, Belle hid in a closet in the room and listened to their plans through a knothole. She then rode wearing her “dark blue dress and fancy white apron, crossed on for the gap between the two armies in range of Union rifles and artillery, and breathlessly delivered her message to a staff officer.” Scarlett O’Hara had nothing on Belle Boyd. For her efforts in this battle, General Jackson wrote her a personal thank you note and she was awarded the Southern Cross of Honor. Her secret eventually got out though and Secretary of War Edwin Stanton personally issued an arrest warrant for Belle on July 29, 1862. She was taken to the Old Capital Prison (now the site of the Supreme Court) and was banished to the Confederate capital of Richmond a month later. But she was back in northern Virginia by the following summer and arrested once more in July of 1863. You know she wasn’t going to do as she was told. Belle went instead to England and married, funny enough, a Union naval officer Samuel Hardinge. She published her (grossly exaggerated but highly entertaining) memoir Belle Boyd, in Camp and Prison in 1865. Her husband died the following year, leaving her with a baby daughter. Belle tried her hand at acting in both England and the United States (so much for that banishment). She “retired” after marrying her second Union officer, John Swainston Hammond, with whom she had four children. She divorced him in 1884, and the following year Belle married Nathaniel High, a man 17 years her junior. She returned to acting in 1886 to recreate her Civil War exploits for rapt and appreciative audiences. Belle died onstage at age 56- an apt end to her dramatic life. If it seems odd that Belle married two men from the enemy camp, it really wasn’t if you understood Belle’s mind. Boyd was more of an adventurer than a Confederate. She enjoyed the notoriety her exploits brought her and reveled in breaking every standard expected of ladies during that time. I was reading your blog. Like most blogs and other writings on Belle Boyd, they always write that Samuel Hardinge died in 1865-1866. That is not so. He lived until 1879. When he returned to England, the Hardinge’s marriage was all Hell or all Glory. There was no middle ground. To make a long story short, she threatened him with divorce while in England. He returned to the U. S. in late 1865. When she returned in late 1867, he showed up one day unannounced while Belle was playing Lady McBeth in McBeth at Niblo’s Garden in New York. Their reconciliation was brief, and they did divorce in Jan. 1868. Last year after seven years of extensive research, I published a book entitled “Belle Boyd: The Rebel Spy.” In the book, I answered many other questions that have posed a mystery about her life over the years.